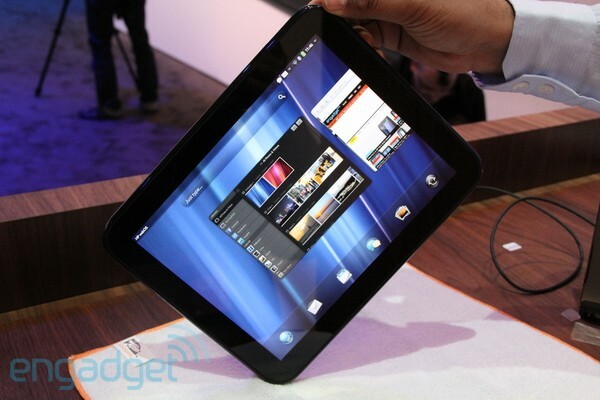 Interested in developing for HP’s upcoming TouchPad? Sure you are — but to play ball, you’re going to need access to webOS version 3.0, which the company has announced will be getting delivered as part of the festivities at its webOS Connect event in London today. Of course, you can’t just wander in off the street and get access to it: you’ll need to be signed up for the Early Access program, which has been dropping early webOS SDK builds on eager devs for some time. Naturally, we’d prefer a real, actual, physical TouchPad to the mere idea of a TouchPad in emulation coming from the soft glow of our laptop displays… but we’ll take what we can get while we wait for the June launch. Here’s the first gorgeous shot of an Google Android prototype in the wild. It looks HTC-ish in build, similar to the grainy versions we’ve seen in the official videos and the renderings in the SDK emulator. Our source, a Giz reader, had some feedback to add to the prototype, which he used for a day: Even in early form, it’s light and fast, much faster than the desktop emulator at times. And as a longtime programmer, he thinks it’s a lot more put together than Window Mobile 5 on the back side of things. It’s a prototype, so things will obviously change, but these are all great signs. I just pray that hardware by other makers is a lot more adventurous. In my mind, those HTC designs remind me a little too much of WM and will for a long time.